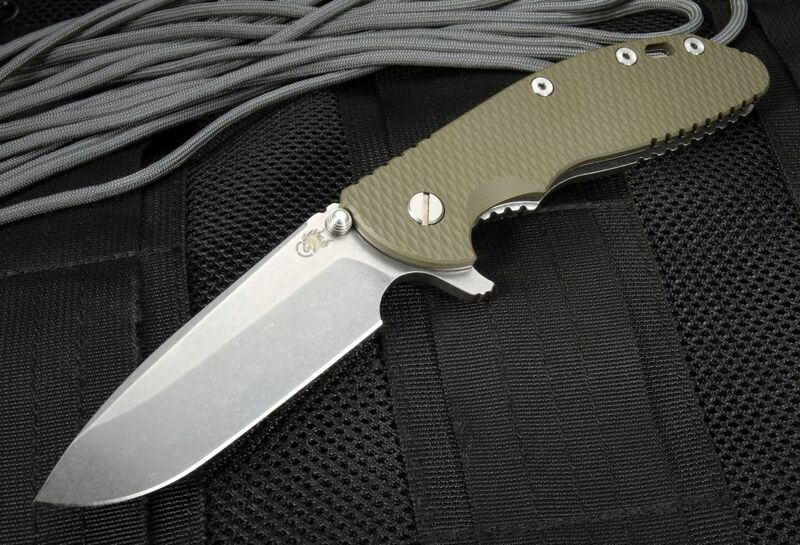 The Rick Hinderer Knives Gen 4 Model XM-24 4" OD Green Spearpoint is one of the most potent and effective tactical folding knives for users who need to cut through thick, obstinate materials quickly. 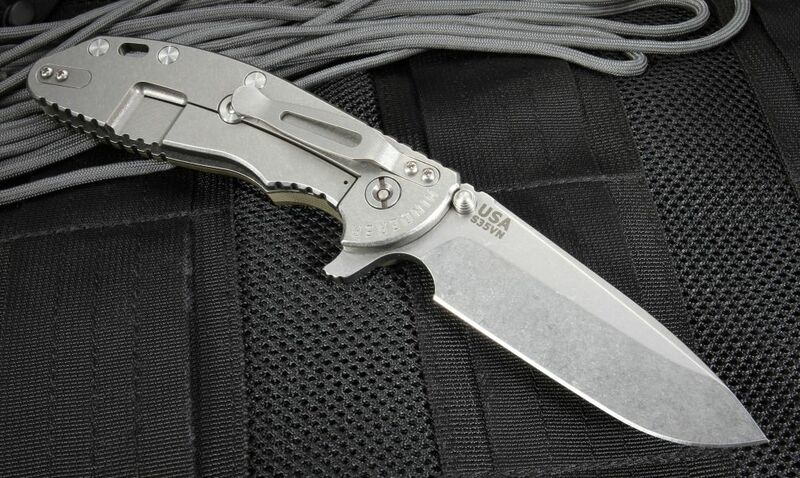 This larger version of the famous XM-18 is designed by Rick Hinderer for first responders who are in situations where knife quality can truly be a matter of life and death. When the stakes are high, the American-made Hinderer XM-24 Spearpoint flipper delivers time and time again. 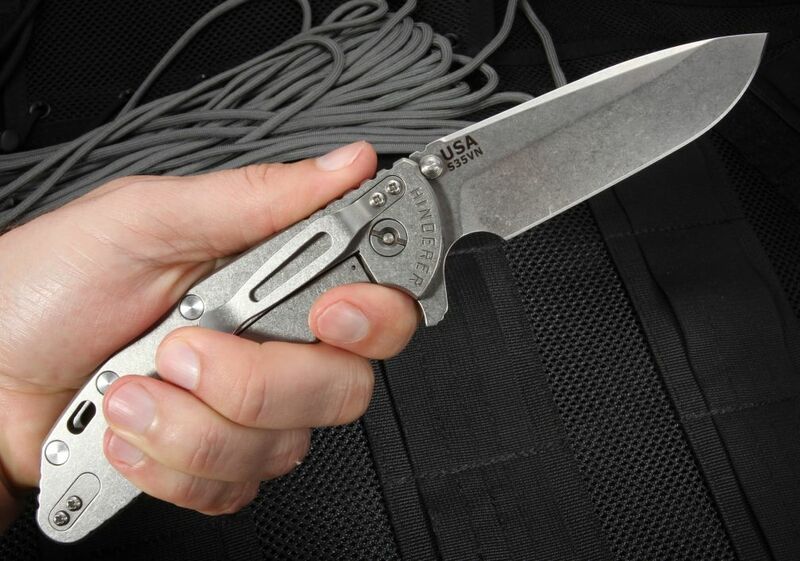 Like all XM-18 and XM-24 knives, the blade on this tactical folder is made of RHC 60-61 stainless S35VN steel from Crucible Industries, which retains a razor-sharp edge for slicing and is one of the most corrosion-resistant premium steels. At 4 inches long and 0.185 inches thick, this blade has the heft and long cutting edge needed for a tremendous range of applications. A stonewashed finishes helps the blade maintain its visual appeal by masking scratches and other surface blemishes. This knife uses a spearpoint blade, Rick Hinderer's take on the general purpose drop point for all-around slicing, piercing and lifting. The lock side of the handle of the Hinderer XM-24 Spearpoint is crafted from 6AL4V titanium that has the same stonewash as the blade. 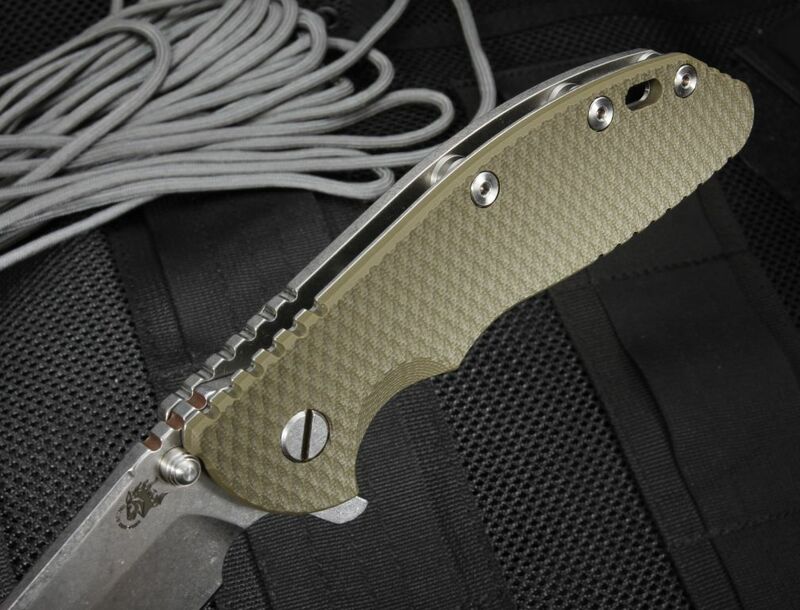 The non-lock side is plated with textured G-10 composite in an olive drab green that is effective for camouflaging on covert operations. It comes in at 7.8 ounces to overpower any obstacle. Open your knife quickly with either hand using the flipper that doubles as a guard to protect your index finger while working. You can also open the knife using the dual thumb studs. 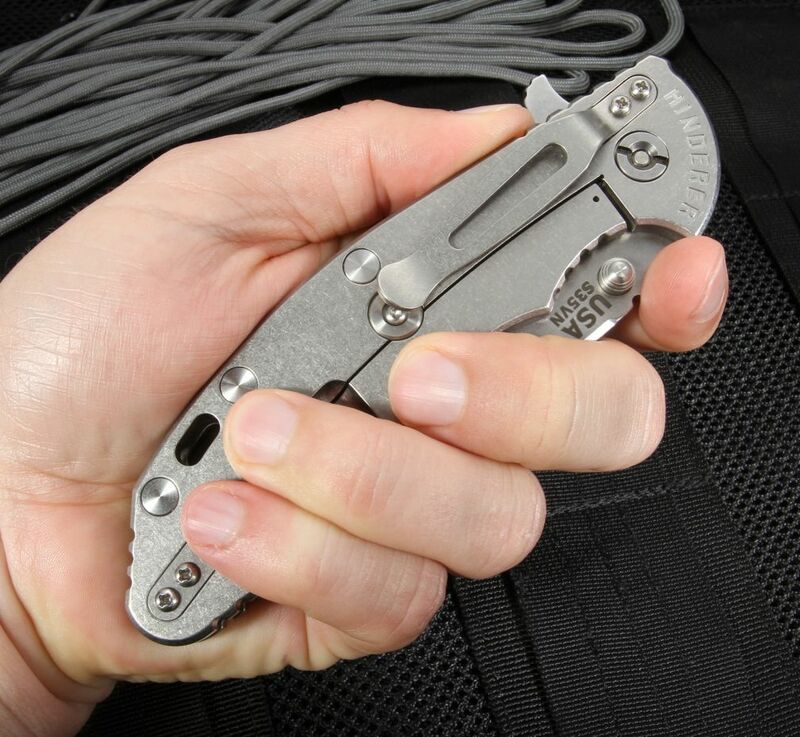 Work your frame lock knife as hard as you need knowing the Hinderer lock bar stabilizer while keep it from "springing" and becoming unlocked. With other key features that include grip-enhancing jimping, a dual-mount titanium pocket clip and a rear lanyard hole, the Hinderer XM-24 OD Green Spearpoint is one of the most effective large tactical pocket knives on the market. With free same-day shipping and expert service from KnifeArt.com, it's easy to add a premium folding knife to your collection. 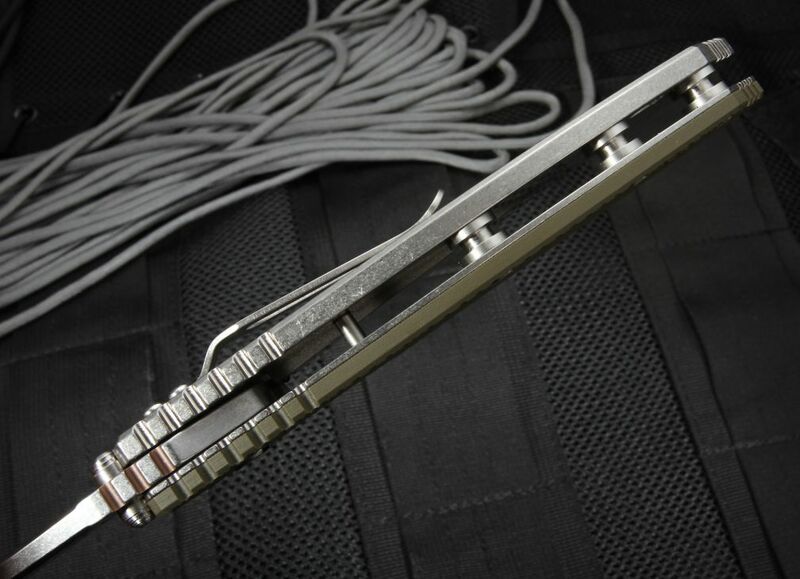 The limited lifetime manufacturer's warranty covers materials, craftsmanship and normal use parameters.